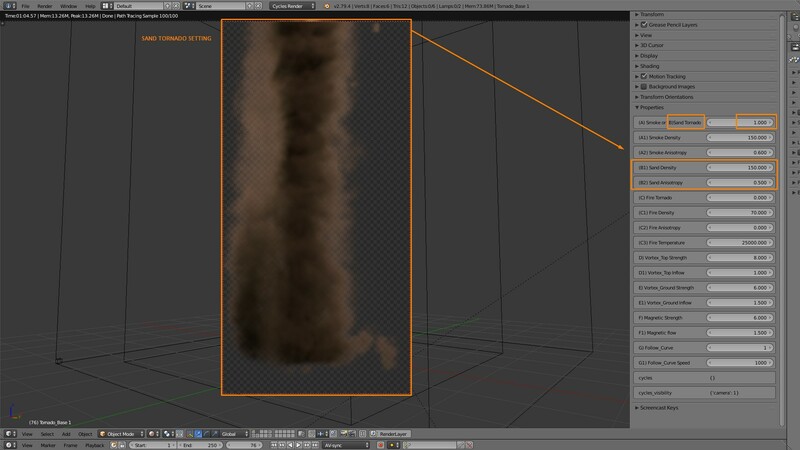 Easily create realistic tornado of smoke, sand and fire with "Easy Tornado". 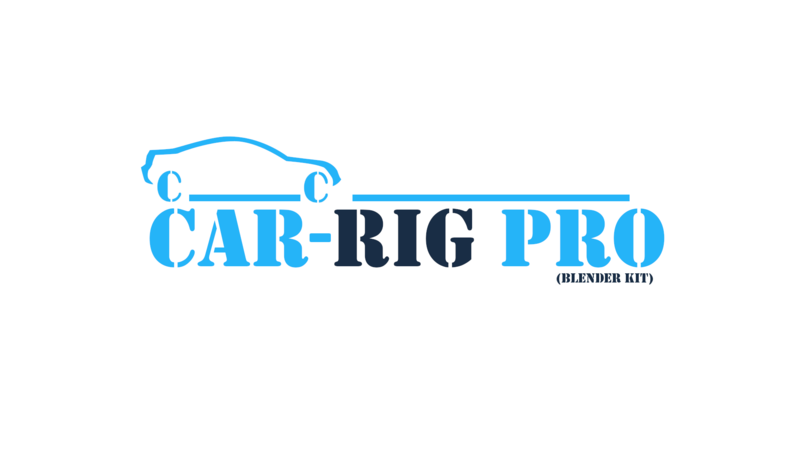 "For cycle render" . *You must use version 2.79.4 or newer, the smoked shader is not available in older versions. Why use Easy Tornado ? 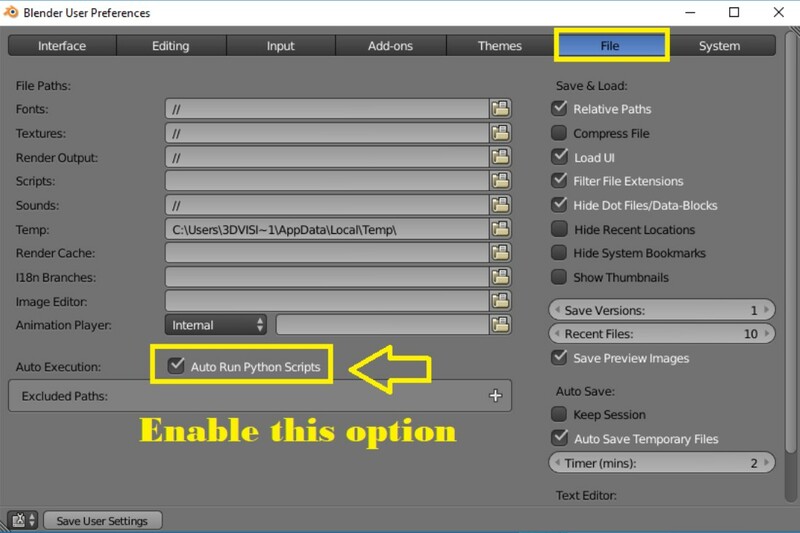 "Easy Tornado" is simple to use and contains "all in one", you can use with the default settings, or modify them. only one material is used to generate the three types of tornado. To change the type of tornado copied these settings. 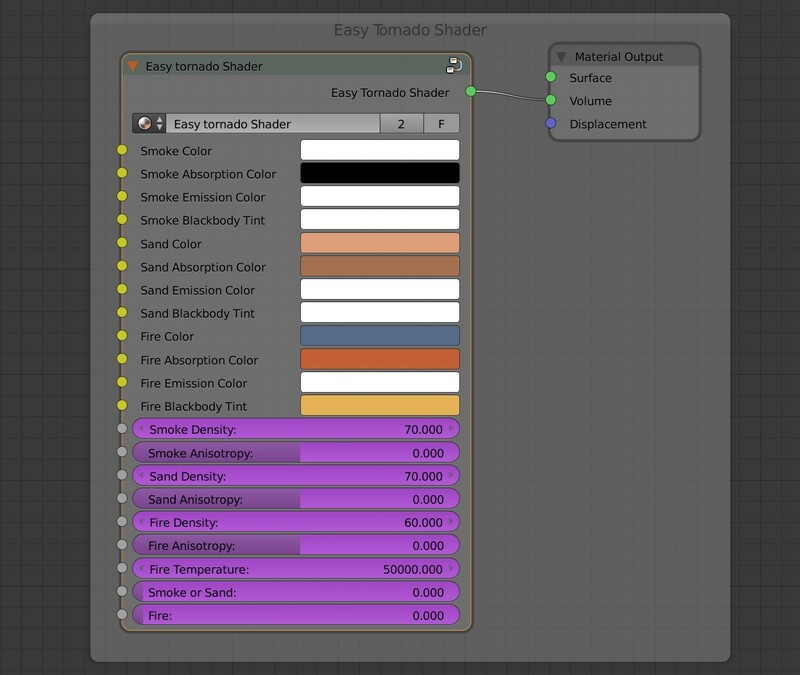 You can change the color shades of your tornadoes with a single shader. "Breakable" objects, to add your breakable items, simply attach "ctrl+j" to the small house, then delete it. 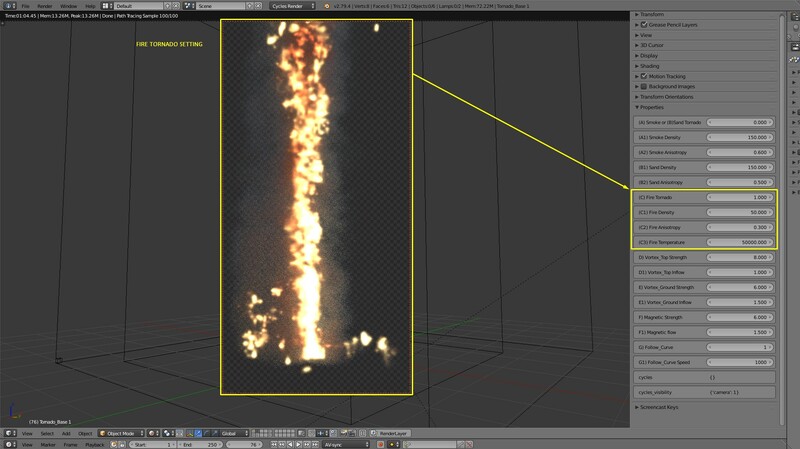 open the particle systems flap and increase the "Emission" value to get more debris. Generate realistic tornado of smoke, sand, fire. Management of smoke, sand, and fire Density. Management of the vortex force. How to make an animation "Easy Tornado" ? You only need to edit a curve to define the tornado's trajectory, define the speed at which the tornado should move, and the duration of your animation. watch the video presentation, the installation is detailed. 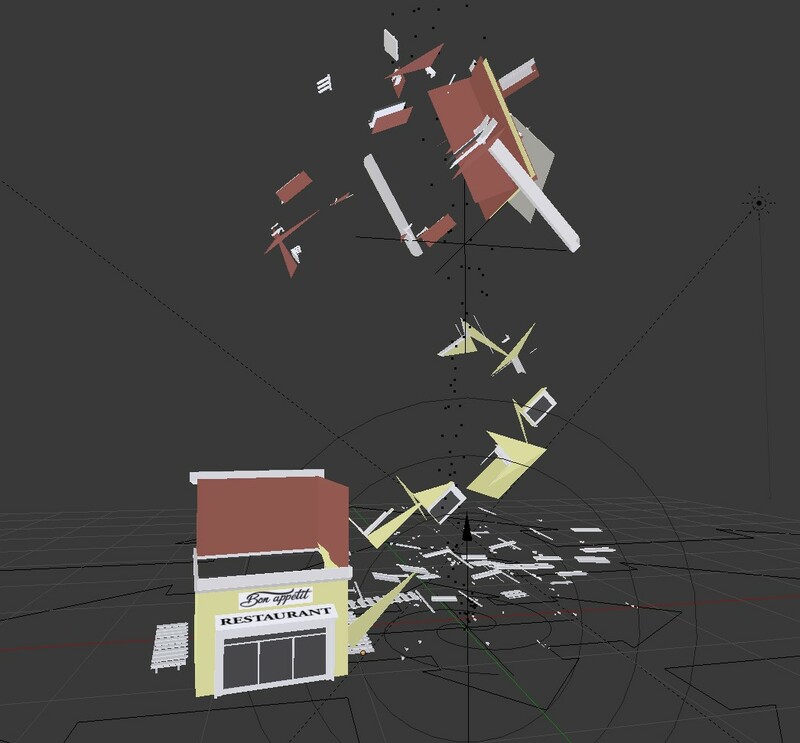 To avoid losing the position of "vortex" objects, it is best to import your objects into the "Easy tornado" scene. If you are a confirmed user you can import with the group and then replace the "vortex" objects on the right layers.